Exterior Colour Combinations - 4 views for building exteriors with colour codes. Scroll to the bottom of the page to upload your image. Upload an image of your building elevation and state your colour preferences if any. 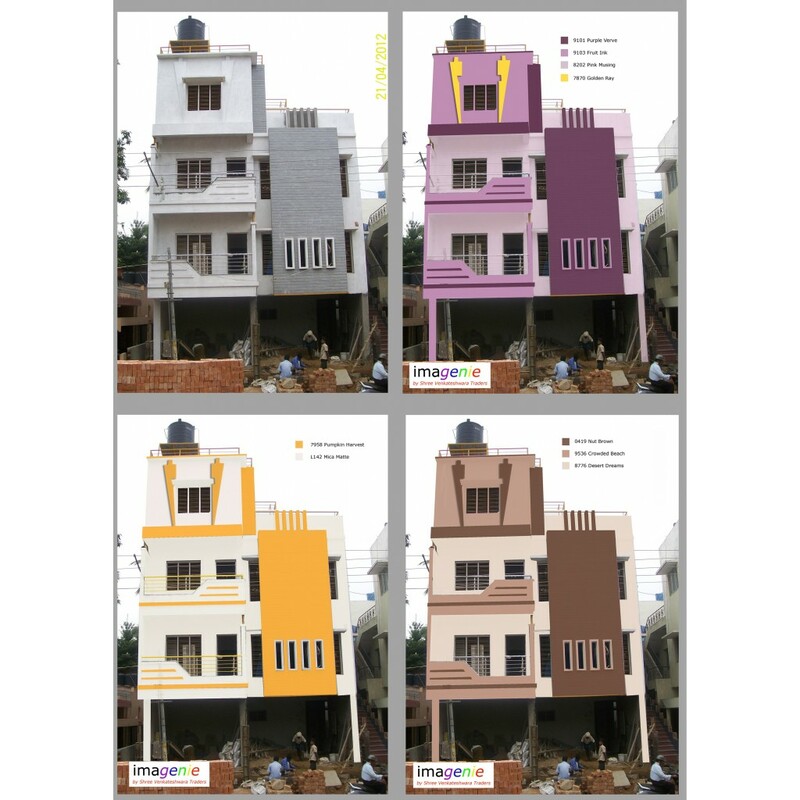 We will email you 4 different colour combinations taking into consideration your preferences and recommendations made by our in house architect - Mrs. Hiral N Bhulani.
. Asian Paints colour codes.
. Colours from the Pantone pallette.
. Colours from the RAL pallette.
. Guaranteed 72 hour delivery.